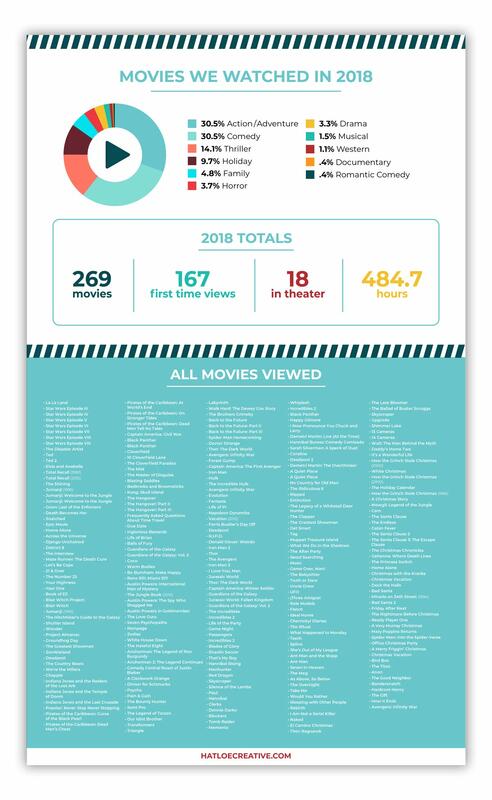 In 2018, my husband and I decided to watch as many movies as possible and keep track of them all. I created an infographic with all the data! Just a little passion project, and I’m a nerd. Now onto binging tv series this year!